The first ИO///sé record was one that I came around to a bit later than others (and missed out on the limited colored vinyl version in the process). Despite my tardy arrival, I played the hell out of that record and more than made up for lost time. When their new album, Lower Berth, was announced, I made sure I was first in line with my preorder and this time the colored vinyl is mine. ИO///sé is a unique combination of some of my favorite kinds of rock and roll. You've got the raspy vocals of a Leatherface, there's the darker leaning, downstroke crazed assault of Hot Snakes and everything is filtered through a Marked Men like knack for catchy tunes and killer choruses. Needless to say, ИO///sé is a pretty great band. I'll admit to being a bit concerned when I first put on Lower Berth as the opener "If I Told You Once" was a bit harsher than I was expecting. It's still a solid song, but it's not quite what I am looking for from these guys. Turns out to just be a blip on the radar. By the time "The Little Things You Love To Hate" roars through the speakers, ИO///sé is hitting all of the marks that I want from them. Lower Berth is just crammed full of stellar songs. 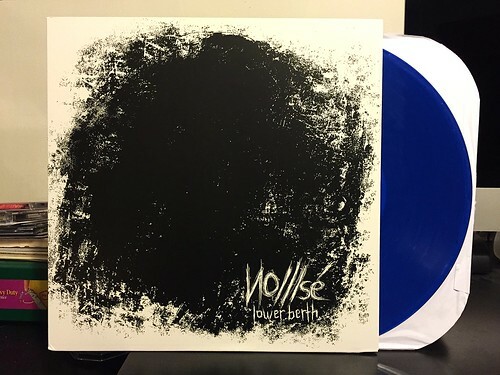 It's absolutely one of the best records to come out in 2015 so far and I think both labels still have a few of the colored vinyl versions kicking around if you hurry. Thanks, Tim! Glad you like it. Cheers for the support!